Equivalent ATOM 01033336 Atom blade 01033336 / HTA-336 / compatible for Atom automated cutting machine Description: Oscillating knife. Thickness: 0,63 mm. Tools: EOT. Composition: HM - Hard Metal. Materials: Special for cutting leather and textile. Equivalent ATOM 010405Atom blade 010405 / HTA-40507 / compatible for Atom automated cutting machineDescription: Strong knife of 108 mm. whit double cutting edge.Thickness: 1,5 mm.Tools: POT.Composition: HM - Hard Metal.Materials: Foams and other packaging materials, thickness up 75 mm. Equivalent ATOM 010430Atom blade 010430 / HTA-43068 / compatible for Atom automated cutting machineDescription: Identical knife to the HTZ-028 but with smaller turning radius (2 mm. ).Thickness: 0,63 mm.Tools: POT.Composition: HM - Hard Metal.Materials: Any soft material up to 17 mm. thickness, like gasket and rubber. Equivalent ATOM 01039999Atom blade 01039999 / HTA-999 / compatible for Atom automated cutting machineDescription: Knife for high-speed cutting of rigid materials.Thickness: 0,63 mm.Tools: POT.Composition: HM - Hard Metal.Materials: Texon, fiber board with thicknesses up to 3 mm, leather up 6 mm, with the possibility of high cutting speeds. 2.5 mm of radius. 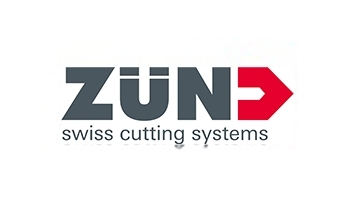 Blade HTI-115 / HM knife compatible for automated cutting machine Zünd, Atom Description: High speed cutting knife. Thickness: 0,63 mm. Tools: POT. Composition: HM - Hard Metal. Materials: Leather, synthetic materials and textile.